Nuclear imaging has been used extensively in the study of neurovascular diseases for the past five decades and has revealed important knowledge on the pathophysiology of stroke. 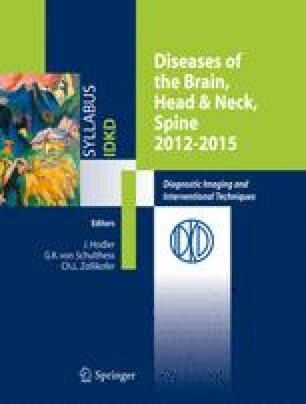 In clinical practice, the primary methods of choice in the diagnostic workup of neurovascular diseases, however, are magnetic resonance imaging (MRI) and computed tomography (CT) scanning. Knowledge of the various presentations of neurovascular disease becomes important in the differential diagnosis of multiinfarct dementia (MID), Alzheimer’s disease (AD), and mixed dementia (AD with concomitant stroke or smallvessel disease). Further, a specialized clinical niche that still is sustained in nuclear imaging is quantitative measurements of the regional cerebral blood flow (rCBF) using positron emission tomography (PET) to evaluate the hemodynamic response in patients with cerebrovascular occlusive disease prior to revascularizing surgery.